* All plans provide 100% guaranteed unique Class-C diversity, for every dedicated IPv4 Address. At least 5 Unique Class "A" and "B" IPv4 Addresses are used in the provisioning of the unique Class-C IP Address diversity as noted above. IPv4 addresses are quickly running out! The Internet Assigned Numbers Authority (IANA) have no more IPv4 to provision to Internet companies. IPv4 address pools are EXHUASTED and hosting companies have stopped giving them out. The few that have them are doubling and trippling their prices every month! Lock in your IPv4 SEO Hosting with TurnKey Internet today, before IPv4 addresses are GONE FOREVER! FREE OneClick Instant One Year SSL Certificate Included! Managing SSL, especially in hosting environments, requires a good understanding of the technology, and SSL often results in unnecessary costs through increased levels of technical issues. OneClickSSL is a revolutionary SSL technology which rewrites the SSL paradigm and turns the Certificate lifecycle overhead into a simple, easy to deploy solution, saving website administrators time and costs, and allowing webmasters and seo professionals to focus on their core business. TurnKey's SEO Hosting combines lighting fast cPanel web servers with a vast array of unique non-shared dedicated C-Class IP's that maximize your advantage for the Google SEO ranking algorithm. Your websites load at blazing fast speeds because our servers utilize the latest, state-of-the-art Samsung SSD disks, LSI RAID technology and cutting edge Multi-Core processor technology from Intel. Our cPanel web hosting servers offer a staggering boost in input/output operations per second (IOPS) to make sure you have the fastest loading web pages to further boost your SEO rankings and SEO performance. TurnKey's SEO Hosting is ideal for professional webmasters, businesses and SEO professionals that host many web sites. Our cPanel web hosting servers are optimized for the most popular software programs such as Joomla, Drupal and Wordpress. The key to your SEO ranking success is hosting your unique and quality SEO content over a vast array of dedicated, non-shared, unique C-Class IP's coupled with the SEO ranking algorithm benefits of protecting your sites with trusted, signed HTTPS/SSL certificates as confirmed by Google in 2014. "Over the past few months we’ve been running tests taking into account whether sites use secure, encrypted connections as a signal in our search ranking algorithms. 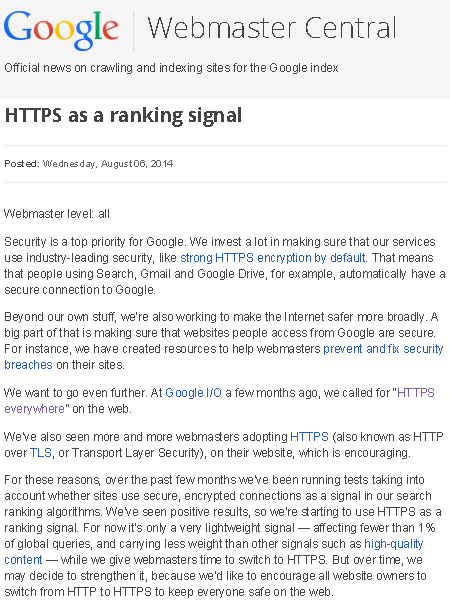 We've seen positive results, so we're starting to use HTTPS as a ranking signal because we’d like to encourage all website owners to switch from HTTP to HTTPS to keep everyone safe on the web." Unique C-Class IP's let you maximize the benefit of Google's new SEO rankings by utilizing the most secure and fastest responding HTTPS/SSL certificates for your web sites. 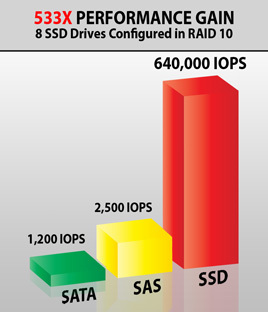 Input/output operations per second--or IOPS, for short--are the number of reads/writes that a hard drive is capable of performing per second. It is the industry standard for measuring drive speed, which is traditionally the bottleneck of any computing environment. The hard drive running in your computer right now, assuming it isn't already failing, is most likely about 80 IOPS. Your new TurnKey Internet SEO Hosting will be 12,000 times faster than that. Can you imagine? We automatically include native IPv6 addressing, along with the more popular IPv4 Address(es) already included on your account. This means your applications and web sites will be ultra fast and directly reachable to anyone on the Internet using both the traditional IPv4 addresses as well as the new expansion into the IPv6 Addressed Internet. You don't need to do anything different, we simply make your hosting future proof here at TurnKey - and you are IPv6 enabled when you host with us! Check out our extensive catalogue of video tutorials here. 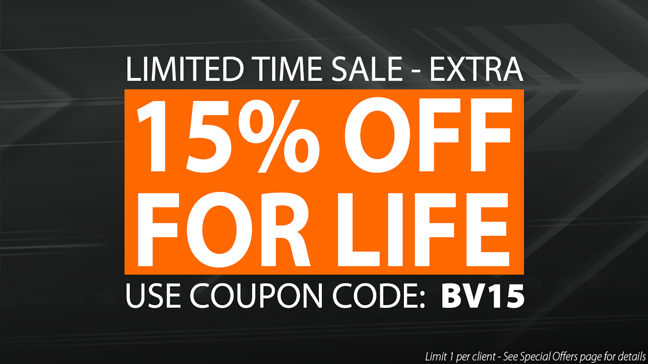 We bundle the most helpful software and add-ons in the industry! Softaculous, RVSiteBuilder PRO, R1Soft, Cloudflare, Attracta, GlobalSign One-Click and more! Get more sales by showing your clients you are secure, with a 256-bit SSL certificate protected web site. FREE one-year SSL included with most hosting packages. We only use genuine 100% enterprise-class servers, owned by us and hosted in our own green datacenter located in New York. Our servers are fully optimized and loaded with the latest operating system and software you select at checkout. Our cPanel servers offer dual Hexacore E5645 delivering up to 32 visible CPU's to your web applications! We do not overload our servers, and pride ourselves on offering the highest perfoming hardware in the industry to our clients. What Exactly is included with SEO Hosting? We offer the industry's leading SEO hosting platform, based on cPanel/WHM (Web Host Manager). We provide a superior enterprise-class Linux-based web hosting server that runs cPanel/WHM along with a number of other premium software tools to provide you the ultimate platform to host and launch your network of websites each on their own unique Class C IP address. The cPanel/WHM administrator interface is accessed by you via any web browser, allowing you to easily create accounts, assign IP addresses, host multiple websites, domains, and set up email, databases, WordPress blogs, and other web applications automatically at a click of a button. It's both easy-to-use, and ultra-high-performing for page load times -- so you are sure to be at the top of the SEO listings on Google, Bing, and Yahoo! What support is included with my SEO hosting account? We provide support for hardware issues, network issues and anything relating to the physical hardware and core software (cPanel, MySQL, PHP, Apache, etc) already -- so you never have to worry about that. We are constantly monitoring, and updating the system to ensure the highest level quality and service. We can also help troubleshoot web-hosting issues related to your website, email, database, and more! Our award-winning staff are here to help! We offer fully automated bare-metal backups via our R1Soft backup system, as well as user-account level cPanel backups. You and your clients have access via the R1Soft icon inside the cPanel control panel to restore and roll back your website files at any time, without having to contact our support team for assistance. The R1Soft baremetal CDP remote backup system offers full snapshot, versioning, roll-back and bare metal restore capabilities in the event of a large scale issue or hardware failure. Do You migrate my websites and accounts for me? Yes! We offer a free migration service; we also have a fully automated do-it-yourself system that lets you securely import accounts from your old hosting provider as well. If you request us to migrate the web accounts for you, we offer up to 20 accounts free-of-charge, and are processed typically within 1 to 3 business days after you contact our support team. Yes -- a 30-day, no-questions-asked, money-back guarantee is available to all new customers. While it may seem incredible to offer these amazing prices and discounts, the reality is, in the datacenter and cloud hosting business, the cost of electricity is the largest expense. With our new on-site solar power system, we produce much of our own energy at a substantially reduced cost for power compared to traditional datacenters. Our other green technology investments, such as Smart Aisle precision cooling and Cold Containment Systems, provides 33% greater efficiency over traditional datacenters, further reducing our electricity utilization -- all adding up to a lower impact to the environment, and lower cost of providing the reliable services we deliver to you.